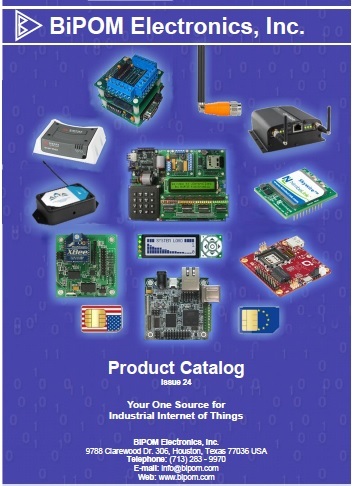 MicroTRAK/STM32F1-C The ultimate STM32 Training Kit at a very affordable price. Need a specific adapter to make a connection? Can't make that connection because your test lead or test accessory doesn't have the correct termination point? Bipom Electronics has a large selection of connectors and adapters to meet all your testing needs. From banana plugs, pin plugs, sockets and spade lugs, alligator clips, panel mounts, terminal clip and ring adapters, and the original hypo-action test clips, Bipom Electronics offers a multitude of solutions for your testing requirements. An assortment of .080" pins in various configurations and a .025" square pin are available to meet your application requirements. Or, adapt a test connector into a pin plug. Bipom Electronics offers an array of pin sizes for converting banana plugs to your pin plug choice as well as adapters for other interface styles. Sockets and spade lugs are made in the USA of high quality material to provide you with the best connections. Providing sockets to connect to most pins and plugs as well as adapters that allow you to change connector interfaces, Bipom Electronics has your testing requirements covered. Need an alligator clip that will make the positive contact you need for a price that is hard to beat? Check out our alligator clips. Sometimes the best devices are those that provide accurate contact time and time again due to their quality construction. Bipom Electronics has been providing alligator clips to the electrical and electronic industries and beyond for decades. Time tested and industry approved, Bipom Electronics alligator clips are requested by those who know quality. Bipom Electronics wire clamps provide positive contact and maximum stability. 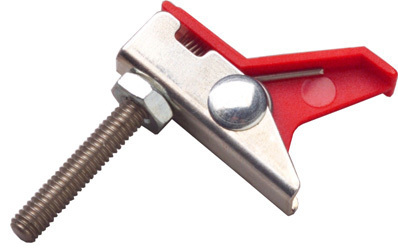 Choose from thumbscrew application or alligator-style jaw clamp application. Building a panel for design engineering or custom electronic equipment? We have the industry's preferred panel mounts that you require to maximize productivity and fulfill your application requirements. European, standard or miniature panel mounts with turret terminal tips or binding post configurations. We have what you need. Even plastic panel mount bases are available. Build your panel exactly how you like with Bipom Electronics selection of panel mounts. When your application calls for a clip connection that can adapt to your current connections, Bipom Electronics can provide the terminal clip to fit your need. Convert your plug or pin sockets, or terminal posts into a ring terminal for an easy to use connection point with Bipom Electronics test connector hooks. Multiple connections to one interface are made simple. Bipom Electronics has been providing test clips to the electrical and electronic industries more than half a century. These test clips were the first hypo-action test connectors ever designed and were the start of E-Z-Hook.